I went to see X-Men with my mom last night and I loved it! Tyler had already seen it on his work retreat so it was a girl’s night. I must admit that only eating popcorn for dinner may not have been the best idea because I didn’t feel like a million bucks after. Not going to lie. Am I the only one that kind of gets into these sci-fi movies? Anyway, I have always loved West Elm and you KNOW I love a good sale. When the two come together it’s magic! West Elm is giving us an extra 20% off all markdowns with code EXTRA20. I picked some of my favorites above but there is a lot more to choose from. They are also giving up to 30% off rugs, and 15% off mirrors and wall art. This is going to be a hard sale for me to resist! 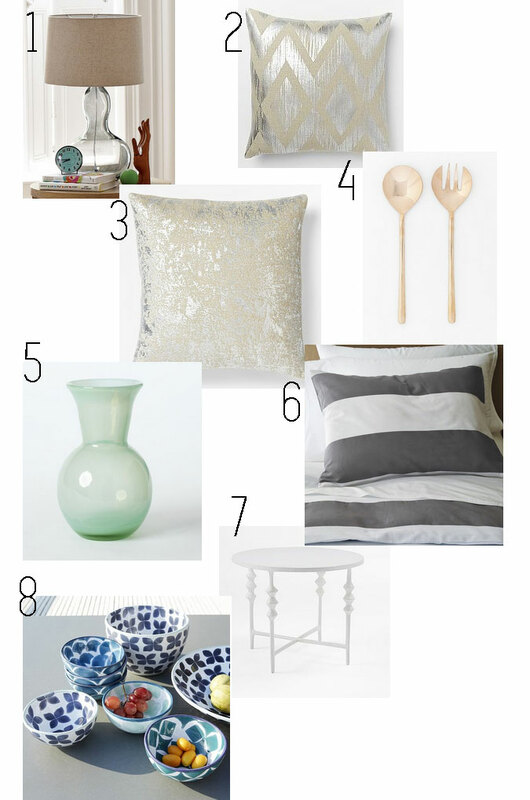 What is your favorite store to buy home decor? ?